Best price in Melbourne. Guaranteed! HALF DAY YARRA VALLEY WINERY TOUR would be ideal for people who are limited in time or are on a budget, but still love to have a quick look and taste of what the region has to offer. Starting from just $49 per person PRIVATE morning or afternoon Half Day Wine Tour is the most cheap Yarra Valley winery tour deal in Melbourne currently on the market. NOTE: We will beat ANY similar legitimate offer of any other Yarra Valley cheap wine tasting tour from Melbourne by further 10%! For large groups (12+ people) we can offer only Private FULL DAY Yarra Valley Wine Tour option. When Private Yarra Valley Half Day Wine Tour Runs? — Three Koalas run Private Yarra Valley Half Day Wine Tours DAILY in the morning and afternoon. Tours start at 10 AM and 1 PM. — Door-to-door Transport Safety Victoria registered, comfortable air-conditioned vehicle for your group from/to any Melbourne CBD or Melbourne Metropolitan area Eastern suburbs location to the Yarra Valley wineries. Return. — Creating and booking perfect Yarra Valley itinerary for you to minimize travel time and maximize diverse Yarra Valley experiences according to your preferences and interests. — Regular wine tasting fees at all wineries on our Itinerary (INCLUSIVE). — NOT JUST A DRIVER! 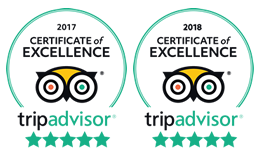 Professional, industry accredited, friendly and knowledgeable driver/guide with extensive local wine knowledge and many years of Yarra Valley touring experience. — AUX cable and portable Bluetooth speaker to play your favourite music on board, bottled water to keep your hydrated and cool box to safely store your purchased wines. — Fuel, road tall and parking costs. What Can I Expect During the Private Yarra Valley Half Day Wine Tour? — Visit as many top Yarra Valley wineries as you wish, time permitting (typically 3-4). Grand design Chateaus, smaller boutique treasures and iconic hidden gems alike. With emphasis on small boutique wineries. — For the Beer and Cider Lovers, a visit to Napoleone Brewery and Ciderhouse at Meletos for a paddle tasting can be arranged instead of one of the wineries (will incur additional tasting fees). — If you would like to sample some top rated Gin, then we can include visit to the famouse and very trendy Four Pillars Gin Distillery into your Itinerary instead of one of the wineries (will incur additional tasting fees). — We can also suggest Yarra Valley Chocolaterie & Ice Creamery for taste of delicious chocolate and ice cream, or Yarra Valley Dairy to taste a range of local soft cheeses. — Half Day Yarra Valley wine tour doesn’t have dedicated time allocated for lunch. If you would like to include winery lunch in your tour, then we suggest to take our Full Day Yarra Valley wine tour instead. Three Koalas Half Day Winery Tour from Melbourne will take you to 3-4 very special wineries in the Yarra Valley on a quick tasting of some amazing wines . As the Half Day Private Wine Tour is the shortest wineries tour of Yarra Valley (don’t forget – just a half day!) it is not only the most cheap winery tour it is also the most challenging for us. In a very limited time, we need to show you as many different wineries as possible, and a variety at that. It was a tough choice selecting which wineries to visit on this Three Koalas Half Day Wine Tour from Melbourne. Luckily we had a wealth of experience and great feedback from our customers to guide us! So now you can have you cheapest Yarra Valley wine tasting tour deal and be back in Melbourne literally by the lunch time to proceed with your busy life. Three Koalas Half Day Private Winery Tour is also the most cheap wine tour deal from Melbourne on the market. Naturally the quality of the wine will not be cheap, only the tour price. If you are looking for cheap Melbourne winery tours of the Yarra Valley, and you want to save not just your time, but your money as well, then this half day winery tour would be the perfect option for you. And yes, we will match and beat by 10% ANY legitimate quote for the similar offer! Depart from your address to the Yarra Valley. Wine tasting at 2 – 3 wineries. Visit to Yarra Valley Chocolaterie and Ice Creamery or Yarra Valley Dairy. Arriving at your Melbourne address (approximately).